Fall! I am in my element this time of year. The sun is shining, temps are perfect, the humidity is breaking and the bugs are gone. My running game is on point. Football season is imminent. And my Cubbies- once Lovable Losers- are now perennial contenders. I absolutely revel in September and October. 1. Rosé is freaking delicious. The best ones smell and taste like berries, watermelon, peaches, citrus, and sweet strawberry candy . The more sophisticated styles from Southern France also hint at rose petals and minerality. They are dry (very little to no residual sugar) but fruity and accessible, and so darn refreshing. It’s like drinking sunshine while lounging in a hammock in a flower garden. These wines need no accompaniment or explanation. It is great with food (as illustrated below), but not dependent on it. And while some are more expensive and special than others, most bottles are affordable and readily quaffable. Don’t decant it, don’t worry about the legs or longevity; just pop, pour, and enjoy. 3. Rosé goes with everything. Tuesday night supper- mom’s meatloaf, chicken pot pie, spaghetti and meatballs, grilled cheese. ANYTHING. The only food category that’s not ideal for rose is sweets. So save dessert for fortified or fizz. Otherwise go nuts. Your sister, your mom, your cousins. Your grandmother who never drinks will consume at least three glasses at your Labor Day party. And don’t forget your twenty-something kids. 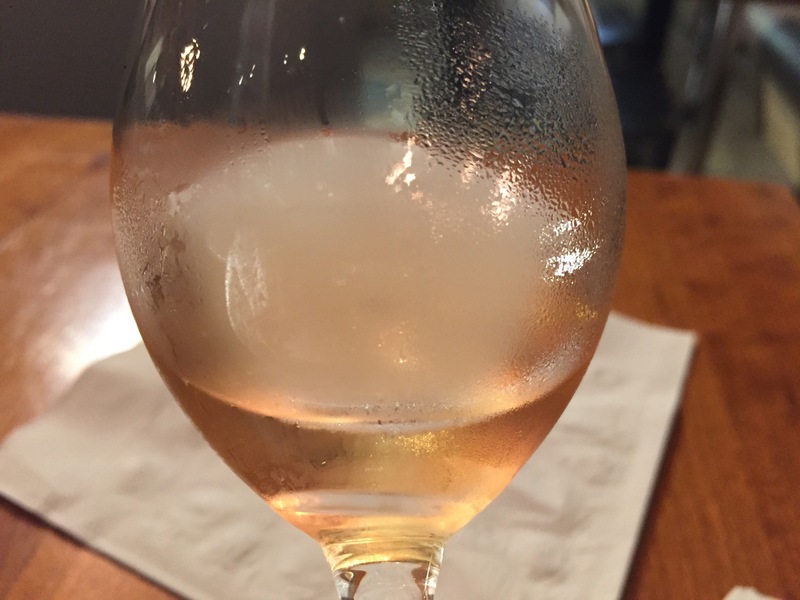 Millennials are drinking more rosé now than Riesling. Sure, fruity pink wine is a little girly; but don’t let your burly neighbor with the Harley tatt fool you. He likes it too. So, stop talking about ‘the end of rosé season.” Would you limit yourself to a single season indulging in chocolate cake? I think not. If you’re a homeowner like me, fresh mint has taken over your garden and your life. Desperate measures must be taken, and there’s only so many mojitos a vintage gal can handle. Luckily there’s a better remedy, with a payoff that’s fresh, sustainable, and absolutely delicious. Clip, rinse, and place 3-4 branches of fresh mint in a bottle of bourbon. I prefer Bulleit; but other great options are Woodford Reserve, Elijah Craig, or Evan Williams. Use Jack if you have to, although we all know you graduated from that crap ten years ago. But seriously, stuff as much mint into that bottle as you can. Pour and shoot an ounce or two if you have to. Place your concoction in the fridge and let it soak for 3-14 days. Some say it’s best to keep from one summer to the following Derby Day. Personally I don’t have the patience, but to each her own. Mix 2 oz mint infused bourbon with 2 oz sweet tea and 1 oz lemonade. Mix well, then top with 1 oz of NA ginger beer and garnish with a lemon wedge and a mint leaf. This Vintage B take on the classic Mint Julep is a must try. Cheers! Anytime a female shopper asks me to recommend a good summer white, I immediately think of Torrontes. “If you took pinot grigio,” I always say, “dressed it up, and took it out on a Saturday night, it would taste like this.” The men never seem to understand, although they always buy one for the woman in their lives. I hate to be sexist this way; but this wine screams femininity. It is playful but delicate; zesty but elegant; fun, fruity and full of flair. Torrontes has become Argentina’s signature white grape. The best versions come from higher altitude vineyards in Salta. The vine’s ancestry is still under scrutiny; but most scholars are certain it is related to the aromatic Muscat of Alexandria, and possibly descended from Malvasia. But Argentina can claim it as their own, as it appears only Chile has wide plantings of it, which they really only use for the spirit known as Pisco. This wine is gaining momentum in a hurry. Its increasing interest on the market is comparable to the rise in popularity of shiraz in Australia, or perhaps malbec in Mendoza. Retailers and sommeliers alike love this sort of wine, as it’s a wonderful sipper but also quite versatile with food. I would pair these wines with salads, Indian or Thai, and any lighter fish. The best news is these wines are remarkably affordable, so it’s easy to stock up for the whole summer. Sight: Pale yellow-green, with bright intensity. Typically youthful, with little viscosity or legs, and a consistent rim. Smell: Wow. Pronounced, tropical fruit, citrus, apples, and a flower bed in summertime. Taste: Light-Medium bodied, zippy but not aggressive acidity. Peach, lime, green apple, slight burst of minerality. Falls right in the middle of the ever popular “not too dry, not too sweet” category. I was on a bicycle in the middle of Margaux. A few of us had stopped for a photo and lost the rest of our group. Marie Helen of Brane Cantenac was my guide, and she assured me we would reconnect. “They are probably headed to Chateau Margaux,” she said. I nodded and gleefully started peddling. A few minutes later, we coasted down the driveway to one of the most recognizable wineries in all the world. I didn’t mind being stranded. We unfortunately didn’t taste the famous first growth that day; but soon after we reconvened with our colleagues and continued our rainy but scenic adventure. In spite of the persistent clouds, we circled through vineyards and made brief stops at about a dozen other chateaux including Palmer, Rauzan Segla, and Lascombes. These are gorgeous, impeccable properties worth a visit, although I might recommend you drive instead. The changes in weather here are amazing. From sun to clouds to pouring rain, then sun again—mixed with a wide range of temperatures, we saw it all during our three hour journey. One wonders how the vines keep up, but the canes were growing tiny buds, and already a new cycle is underway. It’s all great for grapes, but not for bicycle riding. I will never talk of microclimates or terroir the same way again. Luckily at the end we were treated to lunch and a memorable afternoon at Brane, considered among the best of the Second Growths. Henri Lurton, third generation owner and star oenologist, met us in the tasting room with a glass of 2015 Margaux de Brane. This was refreshingly approachable. It is made from the youngest vines on the property, and treated with minimal oak to retain the youthful fruit character. Among what we tasted, the 2015 Baron was a favorite. It’s led by merlot, with flavors of cherry, plum, anisette, and cedar, marked by medium body and supple tannins. The 2015 Brane was also fantastic, with notes of cassis, black cherry, spice and violets. This blend is driven by a much higher percentage of Cabernet, lending itself to more structure and a lingering grippy finish. It is a rich, almost opulent wine, but retains a surprising balance of tannin and acidity, characteristic for Brane. This was only eclipsed by the new barrel sample of 2016. It is flashy and youthful but impressive, with loads of spice, lush black cherry, minerals, and vanilla, finishing with a burst of racy black currant, graphite and cedar on the long finish. A benchmark for 2016 for sure. Throughout our tasting and lunch, Henri shared his expertise and thoughts about Bordeaux, his rich family history, and his passion for wines from all over the world. His enthusiasm and high standards are impressive. He insists on creating wines that express their terroir and strives to make the best wine possible from its region. We also discussed the exciting 2016 vintage, which many have attributed to extremely lucky circumstances. James Suckling recently lauded the newest offering “The best Brane ever.” When asked about this, Henri smiled humbly and said “The new baby is always considered the best,” but recalled several other successful vintages with pride. In the end we were all taken with the classic 2000, which is long gone from stores, but collectors should be pleased. My sincere gratitude and best wishes go out to Kimberly at LD Vins and the terrific team at Brane Cantenac for the hospitality. Everywhere we go, people are talking about the luck of 2016. Rain in the spring was worrysome. Drought and warmth in the summer months provided ripeness, but many feared alcohol levels would skyrocket. In September it rained and cooled off just enough to complete harvest with average yields. What resulted was a magical vintage. Some say it’s 2009 and 2010 combined. And it makes sense: with ripeness of fruit, subtle freshness, and tannins to support ageing, all the components are in place and many wines are exceptional. We attended the UGCB tasting in Bordeaux on Monday. There are clear winners from Pesaac Leognan, Margaux, and St Emilion, but there are also hidden gems from St. Julien and Sauternes. It’s challenging to find three individual palates in agreement. Each of us prefers a slightly different blend or style. But some of the universal favorites from this vast tasting include: Les Carmes de Haut Brion, Lagrange, Canon la Gaffiliere, Prierre Lichine, Guiraud, and Giscours, as well as the classic blanc from Pape Clement. Monday afternoon brought us to properties in St. Emilion and Pomerol. There were some standouts, certainly; but it’s enlightening to taste so many wines from the same area with such different characteristics. Highlights here were at Chateau le Gay, Conseillante, and Grand Corbin Despagne. Those looking for value will want to seek out Montlabert, Bellevue, and Fugue de Nenin. On Tuesday we return to St Emilion. I’ve been dreaming of visiting Ausone and Cheval Blanc my whole wine life. It’s like Christmas Eve. I am so excited to see and taste what’s coming. On October 9, 2016 I completed my best and final full marathon. I ran through several neighborhoods in the city I grew up in, saw the sights with new eyes, and encountered the best of humanity Chicago has to offer. I watched the gorgeous skyline in the distance for the last lonely miles along South Michigan Ave, smiled the whole way up that nasty hill on Roosevelt, and cried happy tears during the final turn and finish line onto Columbus. And of course I enjoyed each drop of my celebratory Goose Island 312. I am totally ok hanging em up, because four marathons is three more than I set out to finish. Because 4:18 is faster than I ever dreamed of. And because my five year journey took me across more miles, challenges, and accomplishments than most people could ever hope for in a lifetime. I still run. I enjoy my 5K trail runs and 10K’s. I consider other competitions and challenges such as sprint triathlons and scenic half marathons. And although I’ve lost a step- as it were- in my fitness, I I still look at every obstacle in my life as a learning experience. I will always remember where I started, and I’ll never take for granted how far I’ve come. Birth year treats are very special. Milestone birth years are even better. This gorgeous glass had notes of honey, dried apricot, fig, walnuts, and brown sugar. Soft, creamy, with just the right spark of acidity on the finish. It went on for minutes. What’s most impressive is- unlike me- it will live forever thanks to a unique style of production and aging. 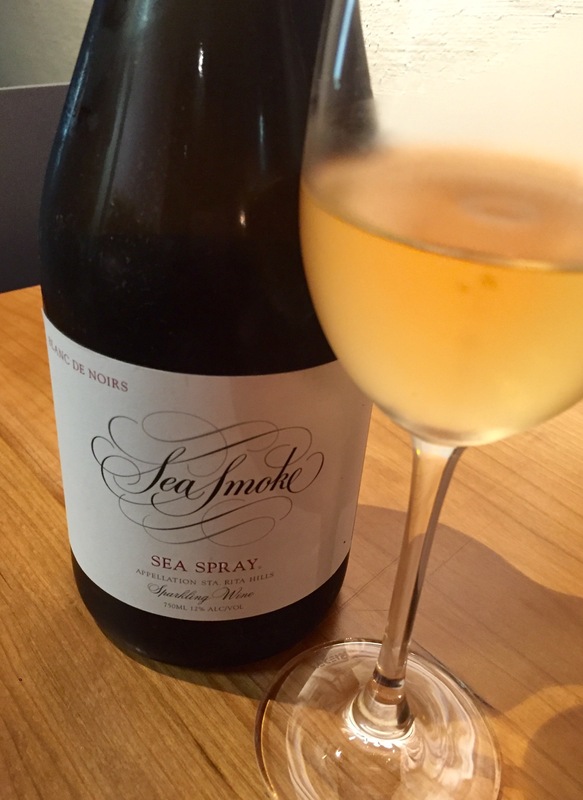 This beautiful sparkling wine was the 2012 cleverly titled Sea Spray- a Blanc de Noirs from Sea Smoke. This all pinot stunner from one of California’s elite producers easily ranks among the best sparkling wines I’ve ever had, and for only half the price of a fine Champagne of this caliber. Treat yourself. 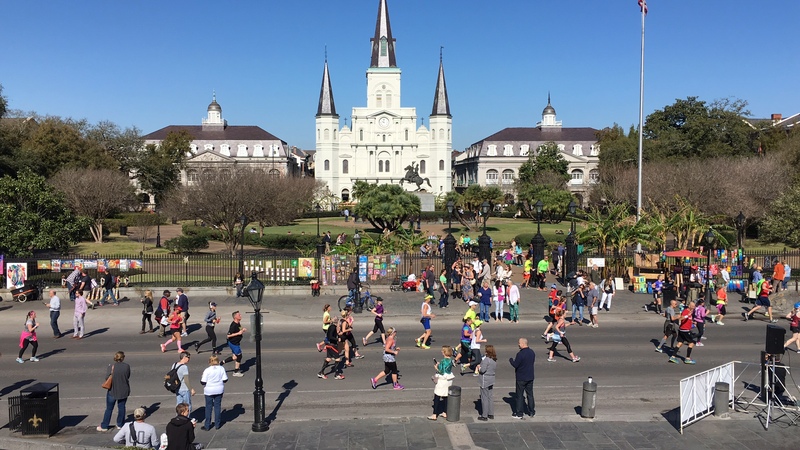 Marathon in New Orleans optional.